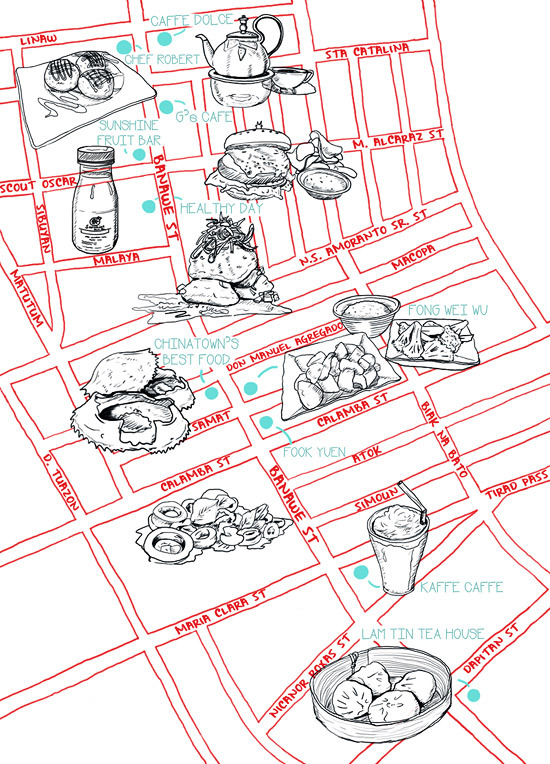 (SPOT.ph) Banawe Street, Quezon City is well known for its car repair and spare-parts shops, but over the years, its growing number of restaurants and cafés has made it a pit stop among foodies. A lot of family-owned Asian restaurants as well as buffets are situated along this road, but more and more cuisines have also been introduced in the area. Here is a mix of old favorites and new thrills in Banawe. Chef Robert is one of the few Asian restaurants on Banawe that offer variety and value for money. Serving comfort food at its finest, their menu ranges from Filipino (kare-kare) to Thai (green curry) to Italian (pastas). Generous servings make them ideal for family or barkada nights out. 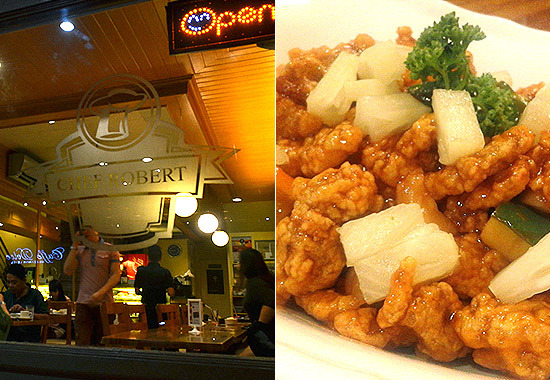 Their reputation for meticulously prepared meals and spot-on family recipes make them a must-visit, and Chef Robert has customers who come all the way from Parañaque! Open daily from 10 a.m. from 12 a.m. Appealing to the car enthusiasts in the area is car-themed G Café or Gears Café. Car problems get resolved on the first floor, but climb up to the café on the second floor for a different kind of satisfaction. The café is every car lover’s dream. The walls are adorned with vintage-looking posters and props handpicked by the co-owner who also happens to be an interior designer. The details in the decor extend to the food. 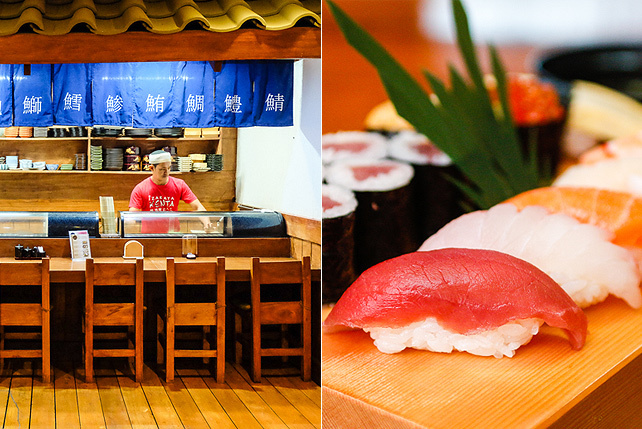 The chef uses only personally picked, local ingredients. Caffe Dolce is a vegetarian restaurant and coffee shop that offers fusion Asian and Western cuisine. They offer tea and espresso coffee, as well as complete meals with appetizers, set dishes, family platters, waffles and honey toast, cakes and more. Prepare your smartphones because Caffe Dolce believes every cup of coffee and meal is a work of art. 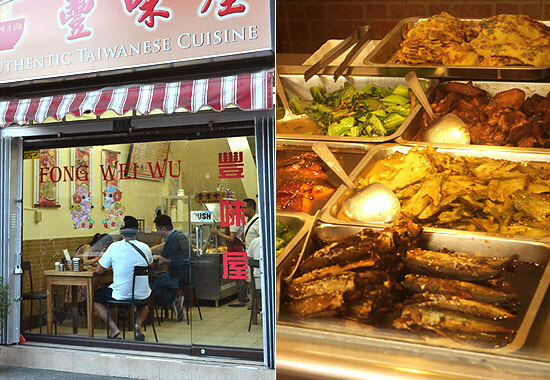 Open daily from 10 a.m. to 10 p.m.; buffet is served daily from 11 a.m. to 2:30 p.m. and 6 p.m. to 9:30 p.m.
Chinatown’s Best Food has been in Banawe since 1982. The restaurant prides itself on tradition, serving quality Cantonese food and handmade dim sum at friendly prices. Their Hong Kong barbecue selection includes honey pork asado, crispy lechon Macau, and roast duck. 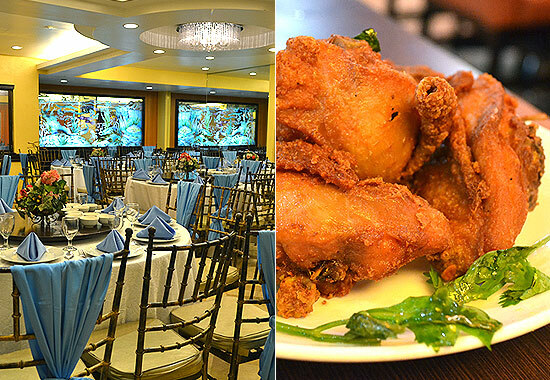 There's a buffet on the second floor (P588/adults), but for big events like baptisms, birthdays, and debuts, they have a banquet hall on the third floor that can accommodate about 300 people. 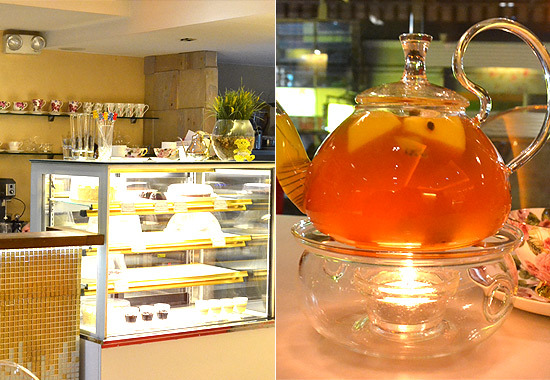 You only need to walk into Sunshine Fruit Bar to feel refreshed from the zingy scent of fruits and pastries. If you’re tired of coffee shops and their usual blends of caffeine, Sunshine Fruit Bar provides a healthy alternative. They have detox drinks and power smoothies guaranteed to rejuvenate you after a tiring week at work or school. The prices are pretty reasonable considering they're made from real ingredients. No powders here! 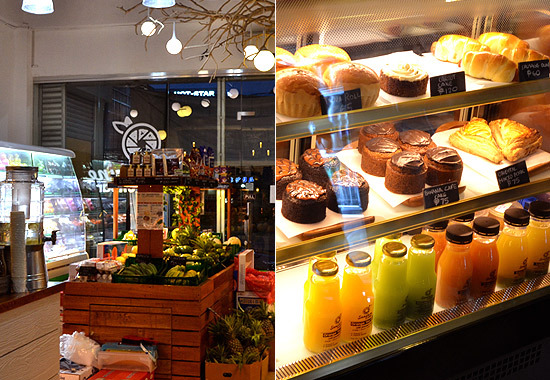 You can also shop for fresh fruits and organic products at Sunshine Fruit Bar. Open daily from 8 a.m. to 10:30 p.m. If you're going for overall wellness and pampering, have a meal and your nails done at Healthy Day! Healthy Day (the restaurant) prides itself for serving fresh, nutritious, holistic, and delectable food. Veggie lovers will delight in their selection of salad, vegetable-based appetizers, and healthy juices. Give yourself the ultimate treat by dropping by their salon a few steps away (separate) from the eating area. 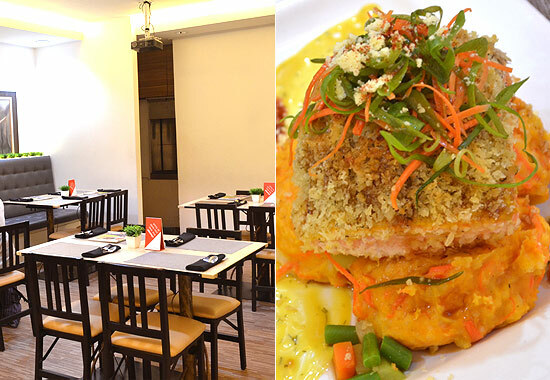 Must-tries: Crab Cakes (P180), Dill Crusted Salmon with Carrot Potato Mask (P560), Grilled Lamp Chops with Healthy Day Brown Rice (P560), Chicken Pesto Sandwich (P130). Open daily from 9:30 a.m. to 9 p.m. 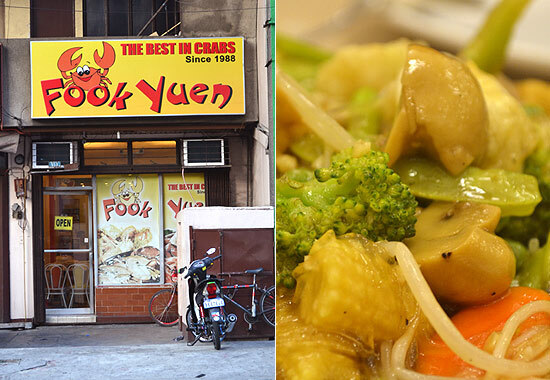 It doesn't look like much from the outside, but locals swear by Fook Yuen’s genuine Chinese food. 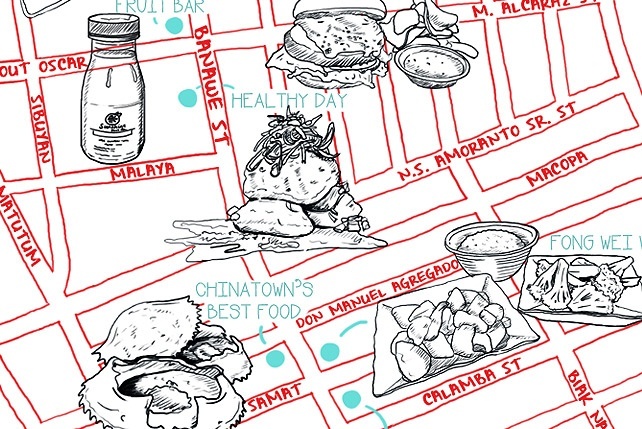 Its unassuming façade and simple interiors are reminiscent of Binondo’s no-frills restaurants that puts flavor above all. It has been operating since 1988 and some of its employees have stayed with the restaurant and are still working there till this day! Must-tries: Fook Yuen Crab and Crab with Sotanghon (Seasonal Price), Fried Chicken with A-1 Sauce (P320/whole, P170/half), Sizzling Squid (P250), Frog Legs (P250), Lohanchay (P200), Pata Tim (P420). 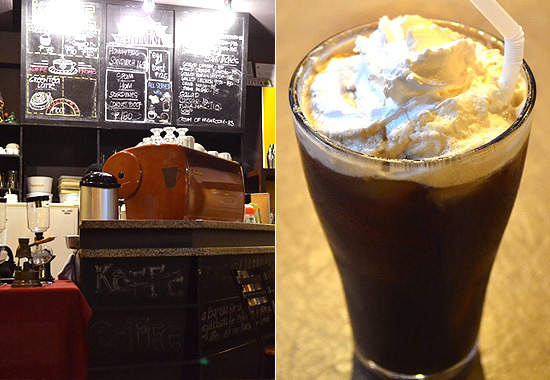 Kaffe Caffe is in the area of Banawe that's filled with fast-food chains. 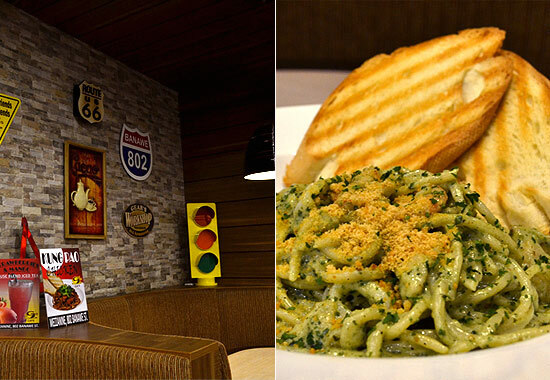 It stands out not only because it provides an alternative from the usual burger, fries, or spaghetti combo, but also because of the cozy interiors and inventive drinks. It is a choice hangout place of students from nearby schools who want to review or simply chill with friends. Feng Wei Wu looks like an apartment-turned-cafeteria. 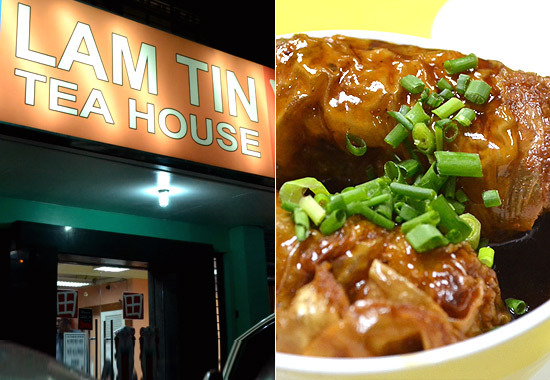 They serve authentic Taiwanese cuisine at affordable prices. You can choose from a variety of viands from the counter, but you can also take home canned goods and other items from Taiwan displayed on a rack near the entrance. Regulars who visit the store have different favorites when it comes to the meals, but almost everyone orders their noodles. Avoid peak hours (lunch and dinner times) because finding an empty table is a Sisyphean task. It's proof of the following they've earned over the years. 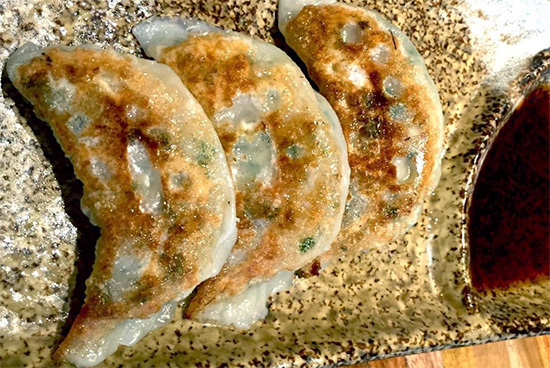 Customers keep coming back for their short-order meals and dim sum, which are cheaper compared to other well-known Chinese restaurants. Despite the price, they don’t sacrifice taste and they definitely don’t scrimp on ingredients.